*This package is not applicable for our pregnant guests or children below 3. The 10-million litre Dubai Aquarium tank, located on the Ground Level of The Dubai Mall, is the largest suspended aquariums in the world. It houses thousands of aquatic animals, comprising over 140 species. Over 300 sharks and rays live in this tank, including the largest collection of Sand Tiger sharks in the world. The average time to visit the Aquarium Tunnel is approximately 15 to 30 minutes. 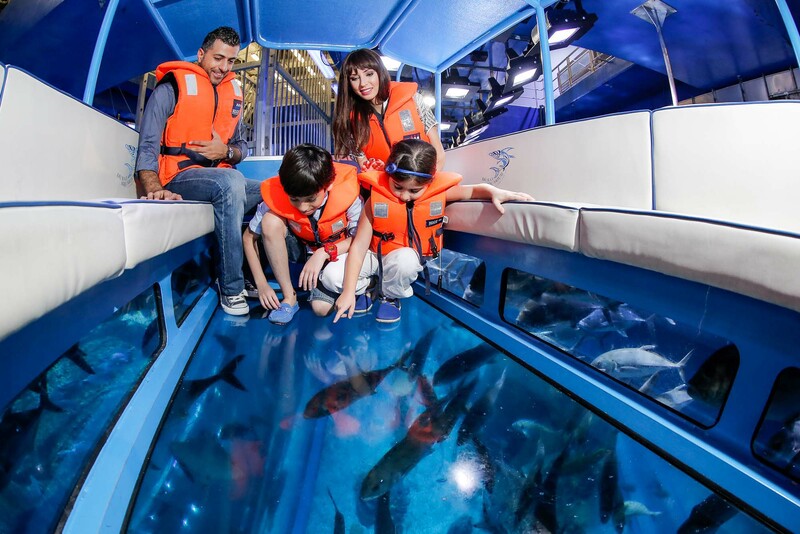 Underwater Zoo located on Level 2 takes approximately 45 mins – 1.5 hours. This time could increase should you wish to stay and watch presentations/shows where you can take as many photos as you want.